Someone will shoot. And someone will die. 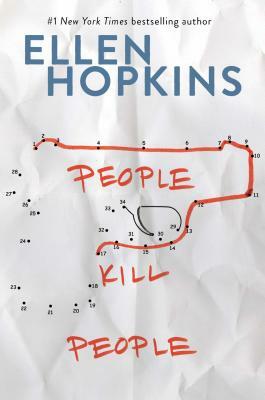 A compelling and complex novel about gun violence and white supremacy from #1 New York Times bestselling author Ellen Hopkins. People kill people. Guns just make it easier. A gun is sold in the classifieds after killing a spouse, bought by a teenager for needed protection. But which was it? Each has the incentive to pick up a gun, to fire it. Was it Rand or Cami, married teenagers with a young son? Was it Silas or Ashlyn, members of a white supremacist youth organization? Daniel, who fears retaliation because of his race, who possessively clings to Grace, the love of his life? Or Noelle, who lost everything after a devastating accident, and has sunk quietly into depression? "This powerful story will spark controversy and prompt passionate debate."